Henry Jenkins is Provost's Professor of Communication, Journalism, Cinematic Arts, and Education at USC. He is also Chief Advisor to the Annenberg Innovation Lab at USC, where he helps inform the Lab's research initiatives in transmedia branding, learning, and storytelling. Along with Sam Ford and Joshua Green, he is also author of the 2013 book Spreadable Media: Creating Value and Meaning in a Networked Culture, a book and larger digital project which looks at the nature of creating, promoting, and sharing content in a digital world where audiences frequently exert greater control over how media texts circulate. In all, Jenkins has written and edited 15 books, including the 2006 book Convergence Culture: Where Old and New Media Collide--which is recognized as hallmarkresearch on transmedia storytelling and cultural changes in media production and engagement in a digital age--and the 1992 book Textual Poachers: Television Fans and Participatory Culture-- which helped to lay the groundwork for the field of fan studies. His other published works reflect the wide range of his research interests, touching on democracy and new media, comics studies, the “wow factor” of popular culture, science-fiction fan communities and the early history of film comedy. As one of the first media scholars to chart the expanding communication capacities of media audiences, Jenkins has been at the forefront of understanding how this more participatory culture has impacted entertainment, politics, and education. Prior to joining USC in 2009, he was Peter de Florez Professor in the Humanities at the Massachusetts Institute of Technology (where he had served as a professor since 1989) and, from 1999-2009, directed the Program in Comparative Media Studies at MIT. Jenkins' research gives key insights to the success of social network sites, online fan communities, advocacy organizations, and emerging news media outlets. He is currently focusing on understanding innovative organizations and networks which help bridge between cultural and political participation through the Civic Paths project he heads in the Annenberg School for Communications and Journalism at USC and as part of the larger MacArthur Research Network on Youth and Participatory Politics (YPP). Previously, at MIT, Jenkins helped launch the Center for Civic Media to explore new platforms and practices that might better serve the information needs of communities. He has also played a central role in exploring how educational practices change in a more participatory culture, starting with an important 2007 white paper for the John D. and Catherine T. MacArthur foundation, which helped to frame their Digital Media and Learning Initiative. 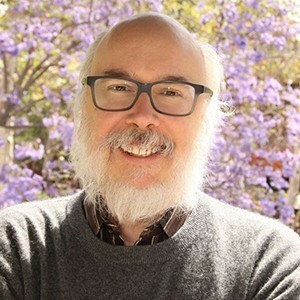 Jenkins helped lead the creation and publication of the 2013 book Reading in a Participatory Culture and, through a range of projects at USC, continues to explore the value of play and participation in the middle and high school classroom. At MIT, he helped to establish The Education Arcade, a consortium of educators and business leaders promoting the educational benefits of computer games and oversaw Project New Media Literacies, a research group working to develop curricular materials and practices for teaching 21st century literacy skills. Jenkins is also a founding member of the Futures of Entertainment Fellows group, best known for running the annual Futures of Entertainment conference at MIT, which brings together researchers and leaders from the media and marketing industries to discuss trends and developments impacting popular culture. In addition, he collaborates with Denise Mann, head of the Producers Program at the University of California-Los Angeles, to organize the annual Transmedia Hollywood conference. Jenkins blogs regularly about fan studies, transmedia stories, media policy, and new media literacies, among other topics, at henryjenkins.org.